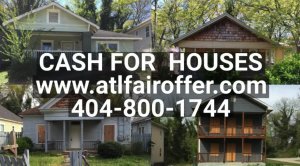 Georgia Real Estate – Is it worth to buy a house in the city? Known as the peach state, Georgia is the state of southern hospitality. A perfect blend of traditional southern culture in modern societies, Georgia is surely the state for you to buy your dream house. If you want to be a part of the southern lifestyle, Georgia is certainly worth a look. Rich in history, Georgia has a number of beautiful and growing cities like Atlanta, Athens, and Savannah with the lovingly maintained turn of the century homes. Georgia Real Estate Agents have done a tremendous job to bring such stunning classic homes to its customers. Remodeled with southern touch and upgraded with state of the art furniture, Georgia homes are some of the best homes in the whole southern United States. Every home in Georgia Real Estate is located in a prestigious location and reflects the southern hospitality that it serves. One of the evolving and growing cities of Georgia is its capital city, Atlanta. Atlanta is a growing metropolis, Georgia Real Estate has become a beacon due to the growth and modernization of Atlanta attracting the prospective buyers. The city has played an important part in Civil war and Civil Rights movement. Atlanta has a glorious and celebrated history. Also, from a sports perspective, the city has Michael Vick and the Atlanta Falcons, the Braves, basketball, hockey and has even hosted the Olympics. Raised in 1865 by General Sherman, the city has a newish feel and has grown to a population of over 3.5 million people. The city can be classified more as a modern city than a traditional southern one. Atlanta homes are distinguished, picturesque and perfectly priced. A great state to live in and with other emerging metropolitan cities like Athens and Savannah, Georgia Real Estate has a lot to offer in terms of scenic beauty, extravagant neighborhood and luxurious homes. The best place to live in and raise your family, a treasure of southern hospitality with pristine houses of your choice in your preferred location. Not only you can raise your family here, you get to be a part of this remarkable state and its valuable history. Selling a property in today's market can be confusing. We provide AWARENESS to those who may be thinking of selling a house as is to an investor, or company who buys houses cash.